In this fresh ConvertKit review, I’ll explore one of the absolute best MailChimp alternatives in the email marketing automation arena: ConvertKit. What are its pros and cons? Is it a viable MailChimp alternative? Or just a dumbed-down ActiveCampaign copycat? Read on! To bring you as much value as I can with this review, I looked into the other ConvertKit reviews already out there. Many of them contain out-of-date, incorrect information. Not because those bloggers are deceitful, lying bastards, but because ConvertKit is evolving so rapidly. Nathan and his team are adding powerful new features and refining ConvertKit, every month. Exciting new stuff – some of which I’m pleased to share with you in this comprehensive review. 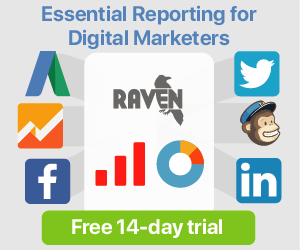 You’ve likely heard of (and perhaps even used) MailChimp, right? Even compared to its competitors AWeber, Campaign Monitor and ActiveCampaign: MailChimp is by far the industry-leading giant! ConvertKit? That’s the tiny blue line near the bottom of the graph… Can’t see it? Me neither. First, we have to get rid of MailChimp! With MailChimp out of the picture, everything becomes clearer. 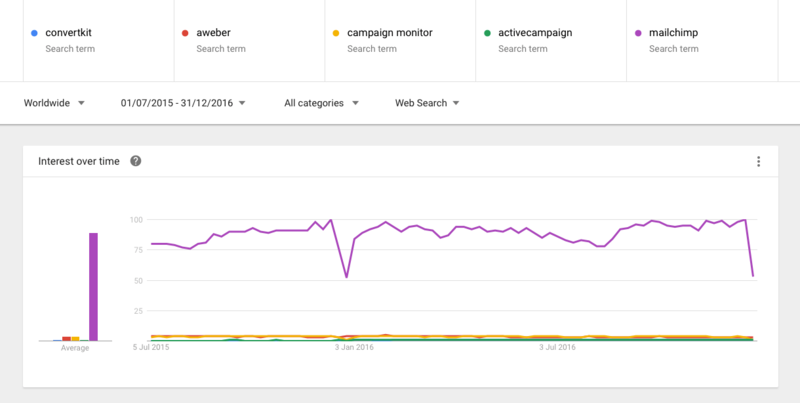 As you can see, ConvertKit is growing mightily – while competitors AWeber and Campaign Monitor are losing steam. 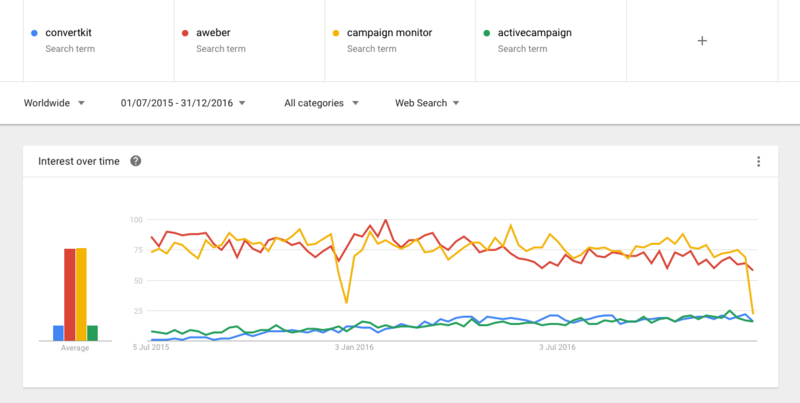 The only exception is ActiveCampaign, which (along with ConvertKit) enjoys positive momentum. For that reason (and your convenience) I’ll briefly compare ActiveCampaign to ConvertKit, later in this review. Freddie (the MailChimp mascot) may be strange – but he’s no stranger to me:) Before Rainmaker introduced RainMail, I was a happy MailChimp-camper, for most of the 3 years I was using MailChimp as my email marketing platform. I’ve also done lots of MailChimp 101 consulting and teaching, so it’s fair to say I have a solid grasp of “all things MailChimp” nowadays. Yet, I had a love/hate-relationship MailChimp. 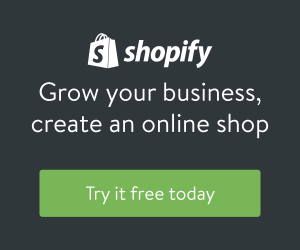 So don’t get me wrong: MailChimp is a fine email marketing service! I’ll get back to the scenarios in which MailChimp has the upper hand. But! Over the last few years, email marketing has evolved drastically on a strategic and tactical level. 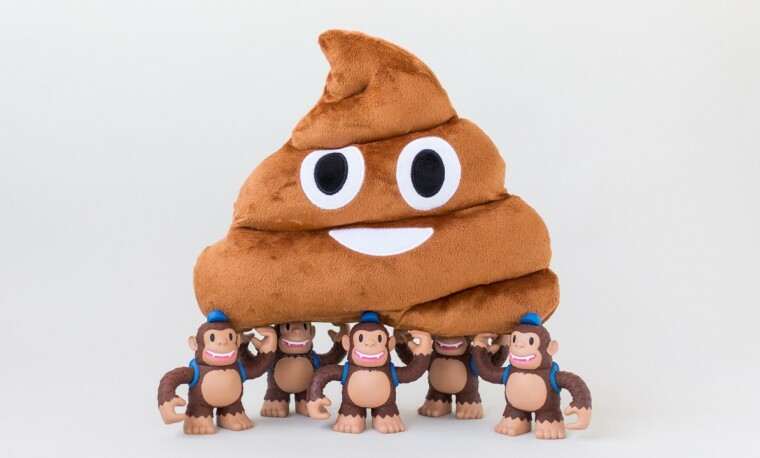 Advanced marketing automation, elaborate autoresponder sequences, lead magnets, personally targeted content, conditional delivery… MailChimp wasn’t built with all that in mind. Offer multiple opt-in bribes (aka lead magnets) to your prospective subscribers. Ideally, you wanna offer different opt-in incentives, based on your visitor’s particular context – relating to the problem or need they have. to visitors reading your blog posts on Forex trading. to visitors reading your Investment blog posts. to visitors on your new Forex Masterclass landing page. Sounds so simple to do, right? Shockingly, in MailChimp, it isn’t simple to set up, at all. Why? Well, the big bugger is MailChimp’s ol’skool ONE-list paradigm. Yes, you can create more than one list if you adamantly want to. Just know that it shall soon make your life more problematic. You see, MailChimp is too smart for its own good. In MailChimp, you’re advised to use as few lists as possible. And one list is certainly better than two. That doesn’t mean you can’t keep your subscribers organized, though: for that, MailChimp has Segments and Groups. Groups are like regular (manual) folders, and segments are like smart folders, to use a computer analogy. The problem is: very few third party integrations support MailChimp’s groups and segments. That means you’ll have trouble keeping f.e. your customer list separate from your prospect list. Unless you use… separate lists. And that’s where I’ve seen many MailChimp users get lost in a forest of… lists! What was, once upon a time, a beautiful garden with a tree (aka: list) or two, has become a jungle. A jungle of lists. One obstacle you’ll encounter on your way through the jungle (machete in hand) is that you’ll have to set up subscription emails, landing page URLs and forms all-over, for each new list. It feels SO lame to waste time doing so. It will deter you from setting up those multiple context-based opt-in incentives I described above. It’ll be too cumbersome. Another obstacle: what you know about a subscriber on list A is isolated from what you know about that customer on list B – and you’ll even pay twice, for the same customer! Fortunately: what MailChimp makes hard – ConvertKit makes easy. For typical email marketing set-ups that most bloggers, solopreneurs, online marketers need: ConvertKit does it better – and there are no redeeming benefits in MailChimp’s archaic approach: only downsides slowing you down. Said another way: ConvertKit is simpler than MailChimp and ConvertKit is easier to use than MailChimp. Especially if you’re a blogger, content marketer, solopreneur, podcaster or service professional – ConvertKit was made specifically to make your life easier. Please welcome on the stage: ConvertKit! That’s why web designer Nathan Barry conceived a better MailChimp alternative: ConvertKit! An email marketing service tailor-made to professional bloggers and content marketers. Like me and many others, Nathan didn’t feel MailChimp and its competitors (like f.e. AWeber) served his professional blogging needs as well as he could envision. Nathan Barry is a great guy by the way! And his book Authority is great too! The audio version (available on Audible) is narrated expertly by himself. Recommended! In October 2016, ConvertKit had 9.210 paying customers, resulting in an impressive MRR of $466.000 and whopping $718.000 net revenue in November. Compared to 12 months earlier, it’s a 7.5x customer increase, 6.8x increase in MRR and a 8.7x net revenue growth. That makes ConvertKit a force to be reckoned with! I’m not presenting those numbers to boast (I’m not Apple delivering a keynote) but to hint at the huge value ConvertKit brings to the email marketing arena. 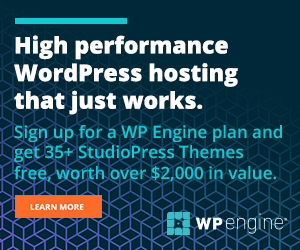 There’s huge demand for a simple-to-use, yet powerful email marketing platform, tailor-made to bloggers, digital marketers, authors, speakers, podcasters, coaches… you know… people like us! We’re not running large e-commerce sites or brick’n’mortar stores. We sell our knowledge, skills and personality – online. And this clear, laser-targeted customer focus has made it possible for Nathan and the ConvertKit team to build a simpler email marketing experience – one that’s a joy for people like you and me to use. When evaluating email marketing software, it’s only natural to compare any alternative email marketing services, to Infusionsoft. We’ve all been marketed to, by someone using Infusionsoft. I’d bet you a $1.000 you’ve been too. I’d say around 7 or 8 out of 10 marketing bigwigs use Infusionsoft. Danielle Laporte, Brendon Burchard, Frank Kern… they all swear by its effectiveness. There’s a reason for that. Infusionsoft is the gold standard of email marketing services. At least when it comes to automation. 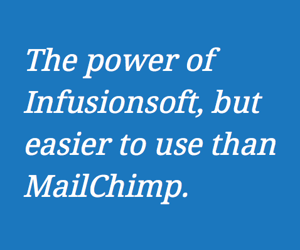 So when it comes to email marketing automation: everything’s possible in Infusionsoft. It has soooo many advanced features and possibilities. Its huge feature-set is Infusionsoft’s Achilles’ heel, however. I’ve had clients who started out on Infusionsoft. Usually they’d been to a workshop with Brendon Burchard or other marketing guru, and wanted to use “the real, recommended stuff”. That’s all fine, if only they could figure out how to *use* Infusionsoft. To them, Infusionsoft became Confusionsoft. Read an important update about Simplero here! But how about ConvertKit? How does it stack up against mighty Infusionsoft? Well, some might argue we’re comparing apples and oranges here. Infusionsoft cost = at least $199 per month + you sign an annual contract + pay at least $999 for a mandatory “kickstart” package, in true HubSpot-fashion. You’re welcome. ConvertKit cost = a simple monthly payment, starting at an affordable $29. As you gain more subscribers, costs will rise accordingly – but never to Infusionsoft / HubSpot levels. Roughly speaking – in Pareto 80/20 terms: ConvertKit gives you the mission-critical 80% of Infusionsoft’s features, at 20% of its cost. To an essentialist/minimalist like me: that math speaks for itself. How about you? It makes a lotta sense, right? ActiveCampaign is a lot closer than ConvertKit to Infusionsoft’s feature-set and flexibility. But again: the flexibility comes at a cost: complexity. Still, ActiveCampaign isn’t anywhere near as expensive as Infusionsoft. Infusionsoft does include a shopping cart though. And a slightly worse UI. So, when should you choose ConvertKIt vs ActiveCampaign? To me, it all boils down to usability and ease-of-use. Teaching WordPress, web design, Simplero and email marketing services like MailChimp and Campaign Monitor to consulting clients for 5 years or so, it’s my experience that either you get how a given tool/service works, and as a result; you enjoy working with it – OR – you just don’t resonate with it, and for that reason will never become comfortable (nor happy) with it. ConvertKit wins that round hands down: its usability and ease-of-use is miles ahead of ActiveCampaign. It’s like comparing macOS to a bad Linux distro. But take heed! ActiveCampaign has a few surprises up its sleeve! ActiveCampaign is much more than mere email marketing. It’s also heavy on marketing automation features AND includes a sales CRM. Since this is a ConvertKit review, I won’t detail ActiveCampaign’s many features here. Read more on their website, if interested. 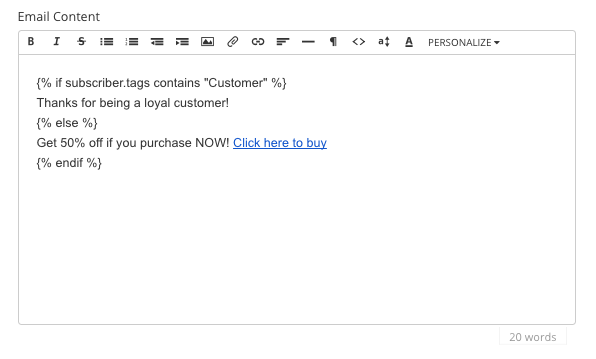 I’m particularly impressed with their Deals/Pipelines feature and deep Chrome + Gmail integration. So… ConvertKit vs ActiveCampaign… There’s no clear answer. They’re different creatures. My recommendation is to start with ConvertKit. It’s one of the simplest-to-use email marketing platforms, yet more than powerful enough for the needs of most bloggers, YouTubers, podcasters, coaches, service professionals, online marketers, etc. ConvertKit was tailor-made for exactly those needs – so it’ll serve you a lot better than more generic “newsletter software” like MailChimp. ActiveCampaign is great for tinkerers – technically inclined people who enjoy programming, those who enjoy Rubik’s cubes and got good math scores in school. You’ll need that logic-loving part of your brain to really love ActiveCampaign. I don’t state the above in a derogatory or condescending way. It’s just a fact that some people have great problem-solving and math skills – while others are more language-oriented. Me? I’m no math genius. I can do math and logic-based workflows, but I don’t *enjoy* such tasks. Conversely, math-oriented types often struggle more with writing and spelling than I do. And hey! ActiveCampaign can potentially replace your Rubik’s cube;-p Neat eh? It’ll keep your brain challenged and engaged! If, on the other hand, you’re “just” a service professional, blogger, podcaster, YouTuber, coach, content marketer… For the love of God (and yourself) please choose ConvertKit. You’ll be glad you did so. It’s PLENTY powerful and will let you deliver lots of value to your email subscribers. Shortly, we’ll look at some of ConvertKit’s recent feature additions, making it even more powerful. … and that’s not even half of them! Here’s an up-to-date, complete list. Being a user of the Rainmaker platform, I eagerly tested Rainmaker’s ConvertKit integration. In my testing, ConvertKit worked wonderfully with Rainmaker. Host your ConvertKit landing pages on your own domain (like www.mydomain.com/my-landing-page). Display beautiful opt-in forms below each of your blog posts. How cool’s that? Pretty cool! Notice that “opt-in forms” above is plural. Multiple opt-in forms. Each with their own incentive. This is the stuff MailChimp makes so hard – that ConvertKit makes SO easy and effortless! You simply choose a default opt-in form to be displayed on all posts. You can then override that default form on individual posts, as you please. A simple, killer feature! It allows you to promote your “Hatha Yoga 101” free ebook to blog readers who’ve just read your latest yoga blog post, while offering your “Vegan Lean” ebook to those who’ve just read one of your diet-related posts. So simple. So cool. Bravo ConvertKids! ? The ConvertKit team also made it easy not to annoy those of your visitors who’ve already subscribed. Hide the form: Don’t show the opt-in form to a returning visitor who has already subscribed. Show custom content: pitch a product or something else to people who have already subscribed. ConvertKit’s landing pages further distance it from MailChimp. 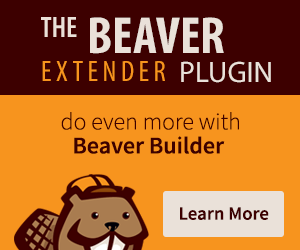 Be aware though, that a ConvertKit landing page isn’t a drag’n’drop affair like dedicated landing page builder services like Unbounce, Leadpages or layout-capable WordPress themes like Beaver Builder or Divi. You get a handful pre-made layouts to use. Based on email marketing best practices, they may look deceptively simple, but they work! And Nathan Barry (ConvertKit’s founder) is a brilliant UX designer, so rest assured: these landing pages look great too! If you’d like to customize them, you can do so with CSS. Less is more: present your offer, get the email address. Done, mission accomplished! Based on my own experience, having too many landing page layout options can quickly lead you down a rabbit hole, wasting time presenting features and benefits with spiffy icons and all. Often, all that extra stuff isn’t needed and only serves to complicate the process. This has opened a wide range of cool possibilities. Now you can customize the content of each mail (broadcasts and sequences/autoresponders) ensuring that every subscriber gets 100% relevant content. An example could be including a “PS: there’s a sale on my latest product! Save 40% today only!” but Oomitting that part in the emails received by subscribers who’ve already purchased the product (likely at full price). Thus preventing a flood of reply-emails a la “I bought it 2 weeks ago – can I also have today’s discount?” etc. Many have been desperate to get this feature! Sequences in ConvertKit = autoresponders. 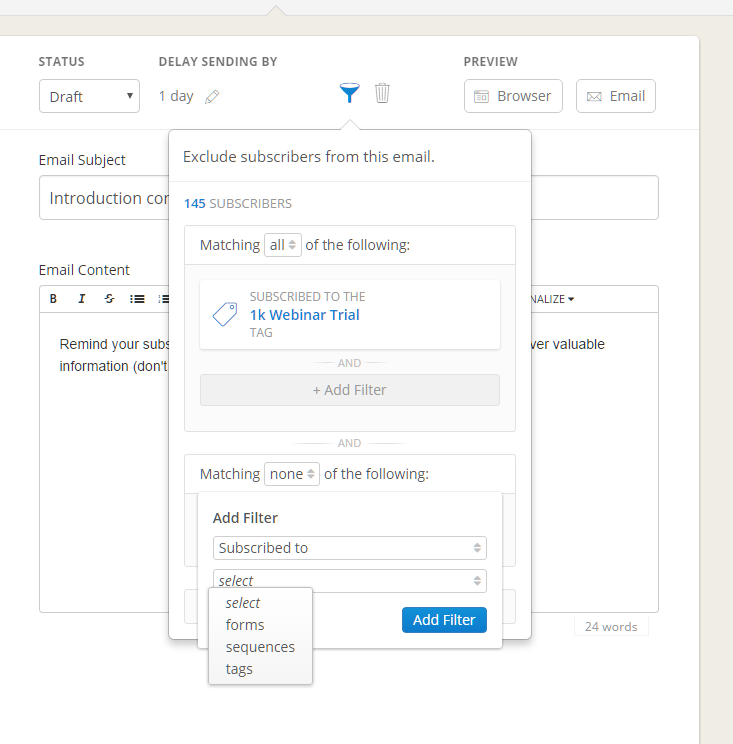 Now you can filter which subscribers get any given email in an autoresponder sequence. Like the tag-based conditional content feature above, this opens up quite a few doors, when it comes to intelligent marketing automation and simply delivering great, relevant content, tailored to each individual subscriber. Spam is a real PITA for most of us. The ConvertKit development team is vigilantly fighting back, by presenting likely spammers with a CAPTCHA, effectively preventing “subscription bombing” spam. Don’t worry, normal subscribers don’t see this. Only spambots. Organize your broadcasts, forms, marketing automation, and sequences using labels. A/B-testing lets you split-test subject lines within your Broadcasts. Why not let your new subscribers tag themselves, by picking their interests upon subscribing? Checkboxes. Good stuff. A very useful feature, that good ol’ MailChimp already has. Soon ConvertKit will have it too so that you can create segments based on location. You can always check out the full, up-to-date ConvertKit roadmap here. Verdict – MailChimp or ConvertKit? If you’re a blogger, content marketer or service professional; I’d go with ConvertKit. Its power and flexibility, wrapped in a beautifully simple, easy-to-use user interface, empowers *you* to do and achieve stuff. Market yourself, your passion and skills to a world that needs it. And you’ll do it the right way. Not the “sleazy, spammy way” but rather the “I’m only sending my subscribers truly relevant stuff” kinda way. Because you’ll actually USE ConvertKit’s fantastic automation features, to deliver the right stuff (of high-value) to the right people. All the time, every time. Why? Because you can. Due to ConvertKit’s simplicity. When would ConvertKit be less optimal? MailChimp maybe? MailChimp’s feature-set is more powerful than ConvertKit’s, if your scenario is regular e-commerce. I’d also choose MailChimp over Campaign Monitor, for the same reasons. MailChimp rocks for e-commerce. There’s once exception though: Campaign Monitor is exceptionally cool for style/fashion/beauty/lifestyle businesses! Their new template builder lets you use huge images, text overlays and more. All letting fashion & style products shine in their full glory! Just wanted to throw that tip in, in case you’re working with fashion & style. In this VERY comprehensive (I hope you’d agree) review, I’ve discussed how ConvertKit compares to MailChimp and ActiveCampaign. Both of those competitors are different beasts. Its email marketing features have become stronger and stronger throughout the last two years. Moreover, on top of handling your email lists, it’ll also let you create online course spaces AND sell your stuff. Simplero is a super choice! I’ve worked with it for 5 or 6 years now, and clients generally LOVE Simplero. In fact, both Simplero and Rainmaker (with their included RainMail email marketing feature) share a whole lotta features and overall approach, with ConvertKit. Read my ConvertKit Review here! Thanks for staying with me throughout this 3.358-word review! I’ve spent countless hours researching and writing it. If you enjoyed the review and found it helpful, you can support my future blogging by signing up for ConvertKit via this link (or one of the above ones). Thank you! ? – I’ll also be deeply grateful if you decide to share my review with your network! ?? And finally: which email marketing service do you use? Fan of MailChimp? ConvertKit sounds like something for you? I wanna know! Please share your voice in the comments below! You should have been upfront immediately with the fact that there is no free option with ConvertKit. They basic option of $29 month is a non starter for a non-profit with only 400 members. We use Mailchimp without charge. We’ll stay with Mailchimp. MailChimp is one of the few email marketing companies who are free to use until a couple thousand subscribers. They are an exception. You’re right – a non-profit with 400 subscribers likely can’t afford the (rather affordable) $29 entry-level cost of ConvertKit. I’m closely affiliated with MailerLite, so I’ll understand if you don’t publish this comment, but I was wondering if you ever tried it, at what your take on it is. Thanks for the post, you’re one of the few people I follow, and like your objective view on things (I’ve also been a Headway user – from way back when they just started, and really digged your articles on that topic). Plus, I’m generally not a fan of green (subjective opinion, I know) unless it’s an eco/bio/health/natural product + I’m always wondering why the brand itself is called MailerLITE… Why the “lite” part? “Lite” to me signifies “dumbed down, crippled and limited. Hey Man, thanks for answering! Many valid points here, and great feedback. The company used to have a bigger product, but then developed a “lite” version. It was so popular that the bigger one got slowly phased out. So currently “lite” means that we try to keep things simple, even though we’re now a full featured ESP, but I understand the confusion and questions that go through your mind, and like I said I’ll take this to heart and we will have a chat with the team. The “copygrid” is a thing I personally use, it has changed a lot from the time of that video, but it’s not ready for “commercial” use, and I’m not sure it ever will be. I usually use it when I need to do a quick speech, or when planning/thinking over a business idea. Sorry for getting back to you so late, but I don’t think I got an email notification that you replied. I like the copygrid idea. Feel free to shoot me an early version if you ever do more with it. Perhaps it’s something that could potentially be shared as a simple template-document? I.e. not a SaaS but a valuable, downloadable asset. Yeah, it could be actually shared as a downloadable document, or google sheet (where you could fill in stuff) – I already have this. Looking forward to using the copygrid then! ? Re: email notifications for comments: indeed! Thank you for this really in-depth review! I do e-commerce and use Mail Chimp, but I’ve been hearing so much about Convert Kit that I’ve been tempted. I think I’ll stick with MailChimp for now, but keeping my ear to the ground so to speak. ConvertKit is good:) But if you’re content’n’happy with MailChimp, there’s little reason to rock the boat or fix what isn’t broken. I’m curious though: how many lists, groups and segments do you have in MailChimp? And how much automation are you doing? I’m doing very little segmention in MailChimp although I’m wanting to do more. Currently I’ve only done some product purchase segmentation, but I’d like to do some opt-in segmentation as I have different audiences. I also vaguely know about doing segmentation for wether a customer buys, etc., but I’ve been too busy to figure it out. Thanks for getting back with a reply on the automation. Always interesting to hear. It’s my impression that everyone talks about automation, yet few really puts it to full use. Myself definitely included – for the same reason as you: too busy. Not to figure out how it works technically, but rather figuring out what should – or can – be done:) Automation workflows… Endless possibilities. I have to say this. You can’t export from RainMail without going through Rainmaker support which takes 5-7 days. Rainmaker’s email-only support means it takes days to solve minor issues. It also seems their support team always asks for information included in the support request which further delays resolution. ConvertKit has the same email-only support rules. If you have an issue which involves integration – both Rainmaker and ConvertKit blame the other and nothing seems to ever get resolved. My new rule: no phone support (maybe chat) – not a tool I will expose to a client. Why do you need to export your lists? I don’t agree that Rainmaker’s support takes days to solve minor issues. I usually get all the help I need within 24 hours max. Mostly I’m surprised at how fast they respond. Having worked in call centers and done customer support by phone I can testify that phone support is often extremely inefficient, and a huge time-waste. The customer will spend the first 5 minutes explaining and complaining and saying they’ve already done all the troubleshooting steps… which is then 15 minutes later proven wrong – so finally they do the troubleshooting steps (f.e. restart their phone) which can take what feels like ages to explain verbally. Email support is effective and convenient. What have caused you trouble, when integrating ConvertKit with Rainmaker? For me it was smooth sailing.